It took me almost a decade to write and publish Change of Life. It was a brush with mortality following my diagnosis with ovarian cancer in 1998, and an Arvon Foundation writing course that finally spurred me into getting my writing act together. And so, while teaching full time and putting the finishing touches to my fledgling adult children, I began. I love music. I have eclectic tastes, from musicals, to Scottish traditional, through hard rock, and classical to contemporary. I’ve always had a soundtrack running in the background. I studied for high school and university exams with 1960s and 70s rock and pop in the background. I got through my cancer treatment to a background of songs by the Lighthouse Family and others, put together by my daughter on a mixtape – remember those? And it has continued to be music that provides me with focus. While I’m writing, even if I’m not consciously hearing it, it’s on and it keeps me in the zone. It’s very much a mood thing for me. Much like inhaling a reminiscence-filled scent, a few bars of the right music and I’m transported. 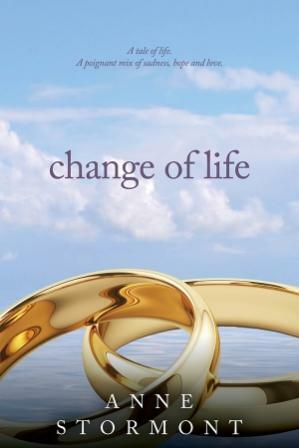 Change of Life has two main characters, husband and wife, Tom and Rosie. The narration is in first person and Tom and Rosie take it in turns to tell their story. Tom, being male, was a challenge to write, but it was one I relished. To get into his head it was Rufus Wainwright’s Do I Disappoint You, Tom Baxter’s My Declaration and Van Morrison’s Have I Told You Lately that did it. Tom betrays Rosie’s trust and, when their resulting separation after more than 20 years of marriage, and Rosie’s diagnosis with breast cancer threaten to rob him of his wife forever, he has to do a lot of soul-searching and face up to some difficult truths. These tracks captured both Tom’s anger and his yearning. They helped keep me ‘in character’ and to tap into the appropriate emotions. Making the switch to Rosie’s head was helped by Elbow’s Grounds For Divorce, Cat Power’s Woman Left Lonely and Neil Diamond’s You Don’t Bring Me Flowers. She also experiences anger and yearning, but this is overlaid with the fear that her cancer may kill her. When writing these darker passages it was Louis Armstrong singing We Have All The Time In The World that helped me bring out the poignancy of her situation. Then as the story came towards its conclusion, it was If You Want Me by Glen Hansard and Marketa Irglova, along with And I Love You So by Don Maclean that kept me focussed and at the right emotional temperature. For my new novel Displacement, it was mainly the Military Wives album In My Dreams that helped me set the tone. Again there are two main characters, Rachel and Jack. Two very different characters, both with their own demons, they meet in dramatic circumstances on the Isle of Skye. Rosie, a sheep farmer and writer of children’s books, is grieving for her dead soldier son, and retired policeman, Jack, is facing up to some difficult truths about himself. They begin an unlikely friendship. The story is set on Skye and in the completely contrasting, but no less dramatic landscape of Israel/ Palestine. The Soldier’s Lullaby and Sonamarg by Skye musician Blair Douglas also featured in supporting roles, as did Your Ghost by Greg Laswell. This last one captured Jack’s longing and conflict perfectly. I should also mention Wilderness by Bat for Lashes, which perfectly reflects both the natural wilderness of Skye and the Middle East and the inner wilderness of the two main characters. And finally, the Ashkovan Farewell by Ungar and Mason was the one track that broke through any resistance I felt when I came to the desk to write this novel. It just led me straight in. What more can a writer ask of their musical soundtrack? Anne lives in the Scottish Hebrides. She can be a subversive old bat, but she maintains a kind heart. She’s about to take early retirement after 36 years as a primary school teacher. Her stories are about and for the sometimes invisible women; the 1960s feminists; women in their late 40s, 50s, 60s and beyond; thinking, feeling, loving, intelligent women. There is a strong element of romance in her books, but she’s resistant to the restrictive ‘romantic fiction’ label as she likes to think there’s more to her novels than just romance. Her first novel, Change of Life, is about to be republished under her own imprint Rowan Russell Books and, her second novel, Displacement, is due to be published at the end of May. 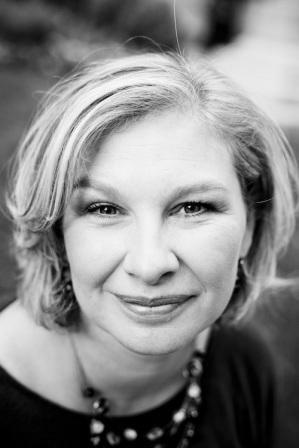 Her work-in-progress is a children’s novel called The Silver Locket and is scheduled for release in the summer. 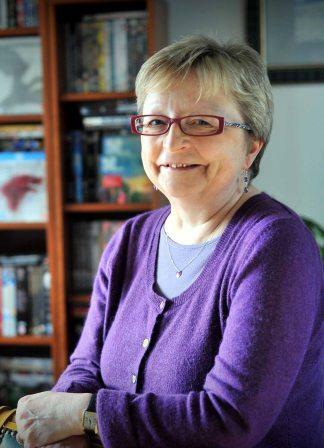 Anne tweets as @writeanne and she blogs at http://putitinwriting.me She also writes for Words With Jam and is a member of the Alliance of Independent Authors. As an author whose days are pulled and split between parenting, work, chores and all the other usual distractions, when it’s time to write I find it really helpful to use sensory prompts to pull me quickly out of my own world and into the story. 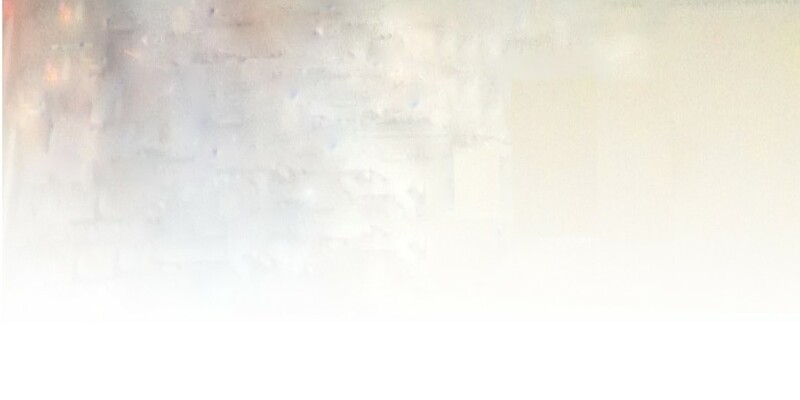 Visual prompts like photographs help, as do smells, tastes and definitely music. The Night Rainbow, my debut novel, is set in southern France in the heat of August. It is narrated by five-year-old Pea, and plays out in a very limited environment – her house and the surrounding meadows and hills – but which of course seems much bigger to a child of that age. It also takes place over a surprisingly short span of time. But again, to a child a week can seem like forever. Because of this, I had a relatively small selection of music that I played when I was writing The Night Rainbow that would bring me back to the place, the time and the characters. I always listened to it on headphones, which emphasised the feeling of immersion. The one album that I played over and over was Erik Satie’s Gnossiennes, by Alexandre Tharaud. Of these pieces, Gnossienne 1 for me really captured the feel of the novel. I found this piano music perfectly evocative of the environment I was trying to create – it’s very French, and it seems weighed down by heat and melancholy, yet the delicate notes of the piano evoke the lightness of childish movement. As Pea and Margot made their daily forays down through the peach orchard, over the fence and down past the donkeys to the stream, they were accompanied by this music. Pea’s mother has been struck by tragedy twice in quick succession, having recently lost a baby and her husband. Burdened by grief and isolated from the village, she has retreated into herself. So, left to their own devices, Pea and her little sister run wild in the meadows. This is where they meet Claude, who Pea believes is at least a friend, and possibly a potential new papa. The relationship that develops between them is a cornerstone of the novel. On the one hand it’s an unusual relationship, which from an adult point of view can look rather sinister. But on the other hand, Claude is giving Pea what we, as readers, want to give her – company, food, shelter and kindness. The song that pulled me back to this relationship again and again is Cat Power’s cover of I Found a Reason. There is something magical and ethereal about this simple song. I hooked onto the sense of being believed in, of hope and of being saved by someone. 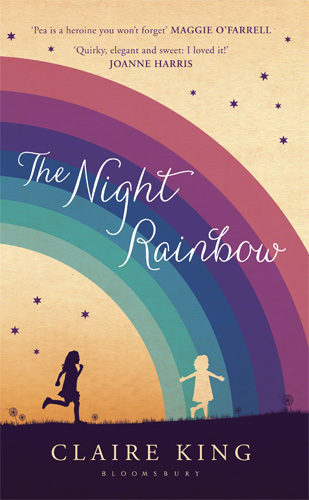 What struck me when I saw the cover for The Night Rainbow that Bloomsbury had designed was that they had somehow picked up on this image I had of Pea running, running, running. (See also the book trailer for another representation of this) and the piano music they chose (independently) to represent the book. A perfect synergy with my intention for the novel. As Pea busies herself trying to take on the role of the adult in her family, her mother is sinking deeper and deeper into desperation. Heavily pregnant, apparently alienated somehow from her own parents and in danger of losing her farmhouse home now that her French husband is dead, Maman is struggling badly. I had to be so careful when writing this character because I wanted readers not to condemn her for being neglectful, but to sympathise with her plight. Her song was Amy Hit the Atmosphere by Counting Crows. I found her desperation in this song, but also a great evocation of that powerful need we have for our mothers, for someone to care for us. Pea is reminded, towards the end of her story, of a moment between her mother and father dancing. The song they dance to is Je t’aimais, je t’aime et je t’aimerai by Francis Cabrel. This song is in French, and I’ve not found a translation of the lyrics on the web that I’m completely happy with, but here’s one example. This song was important to me because in amongst its many beautiful images, it captures the naivety of childhood, the messiness and the regrets of adulthood and amongst all that the essence of enduring, abiding love, that I wanted for my characters. Ultimately isn’t it what we all want for our children and for ourselves? GIVEAWAY Claire is excited to give away a print copy of The Night Rainbow to a commenter here. Bonus entries if you share on Facebook, Twitter, Google + and elsewhere (one entry per medium). Don’t forget to come here and tell me in the comments where you’ve shared it as I might not know!